Murdoch Wroth will stop at nothing to claim Daniela – the delicate Valkyrie who makes his heart beat for the first time in three hundred years. Yet the exquisite Danii is part ice fey, and her freezing skin can’t be touched by anyone but her own kind without inflicting pain beyond measure. Can they conquer an agony of frustration and slake the overwhelming desire burning between them? I was dragging myself through the first 270 pages, but it was totally worth it for the last 30 pages. 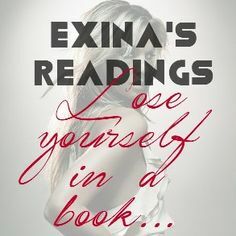 Because those pages are sizzling and moving, filled with deep emotions, love, and intense sensuality. The main part of the story covers the events of the Immortals After Dark series from the first novella, The Warlord Wants Forever to the end of book 5, Dark Needs at Night’s Edge. Murdoch and Nikolai (The Warlock Wants Forever) arrive in New Orleans together, and while his brother and Myst are trying to come to “some kind of understanding” Murdoch saves Daniela’s life. Reading the summary of the first 5 books of the series, following the main events from different aspects, from the viewpoints of Murdoch and Daniela was interesting, but as I was up-to-date when I read it, it made me a little bit bored. Daniela is half-Valkyrie, half an ice fey, the rightful queen of the Icere. She suffers from burning if she is touched by anyone who is not from her own kind. As a vampire, Murdoch is unable to touch his Bride, which naturally frustrates him. Murdoch and Daniela spend months together without touching each other at all. They make only half-hearted attempts to find a solution for that problem. Maybe the reason is that they are not sure of each other. First they slowly get to know each other, and falling in love doesn’t happen in a couple of days like in many paranormal romances, but in months. She turned from him, wanting away from this vampire with his unflinching honesty. Because it… hurt. The events finally speed up when Jádian appears. The end of the story is wonderfully written, and everything is set up. The most amazing thing is how simple and obvious the solution is for Murdoch and Daniela’s happily ever after. I was so happy to see the Wroth brothers and their wives together in the epilogue. Murdoch and Daniela, Nikolai and Myst, Sebastian and Kaderin, Conrad and Néomi all appear in a charming, cozy Christmas scene at the end. She gazed back at the scene, the family laughing around a hearth, holiday decorations glittering in the firelight. A Hallmark card. Except that a phantom, Valkyries, and vampires populated the portrait.